Capacity 865 cc / 52.8 cub in. The output peaks at a muscular 61PS and there's strong torque from low in the rev range, with a maximum of 53lb.ft at just 3300rpm. To you that means plenty of thrust at a flick of the wrist without needing to resort to the slick gear change. The Speedmaster's parallel twin is such a refreshing change with its roots in the very engines that brought us to the forefront of motorcycling during the 1950s and 1960s - the golden era of British twins. 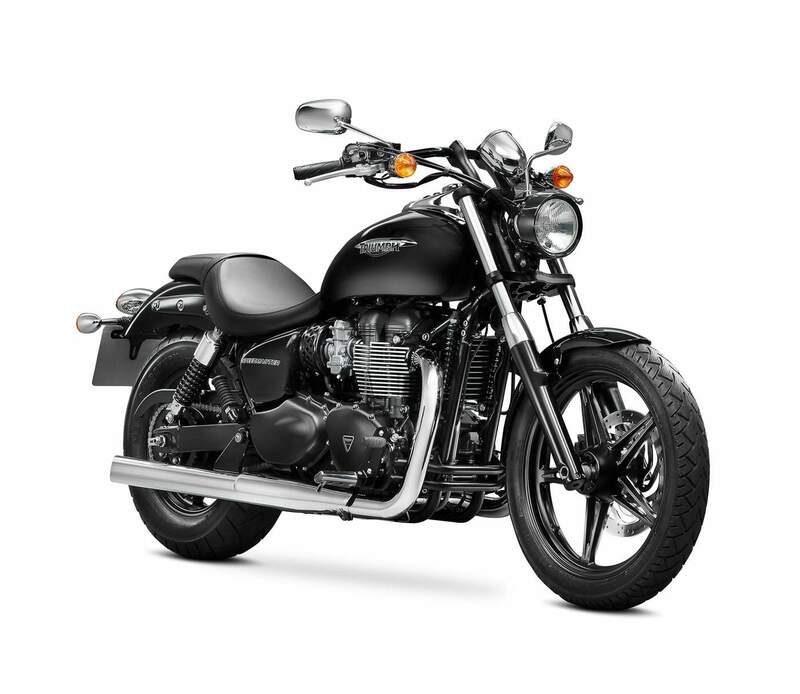 Still very much a classic-looking Triumph engine, we have built it using modern Triumph technology, cleverly hiding it behind that traditional exterior. 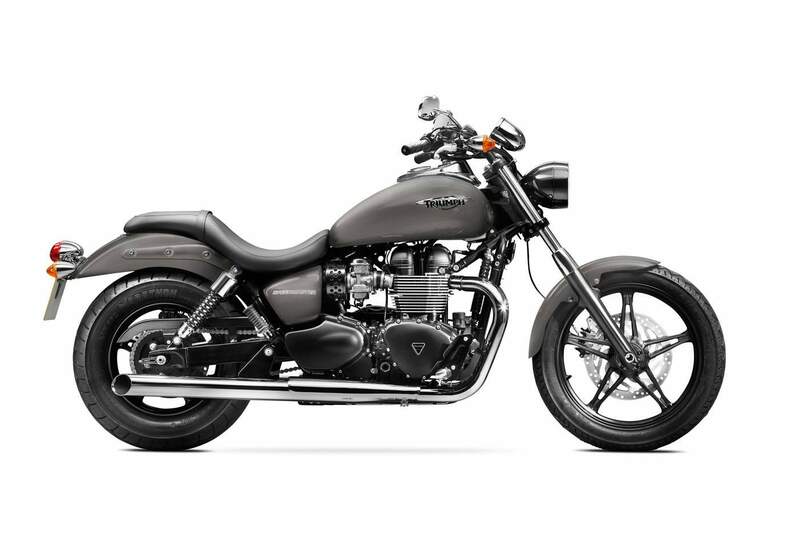 We've also retained the air cooling to give you a bike that looks right but, although it seems to have twin carburettors, the Speedmaster is fuelled by a modern electronic fuel injection system for high efficiency, plenty of smooth and accessible power and exceptional fuel consumption. The engine feels great thanks to the 270 degree crankshaft design which results in a lazy, uneven beat from the mellow exhaust note to match the easy pull of the motor. We’ve made sure that vibration levels are just enough to let you know there's an engine working hard beneath you but without intruding on your general ride or comfort. And, inside the old-style cylinders we’ve added double overhead camshafts, eight valves and a fully integrated crankshaft, clutch and gearbox. All with a comprehensive engine management system to handle the ignition as well as fuel injection. 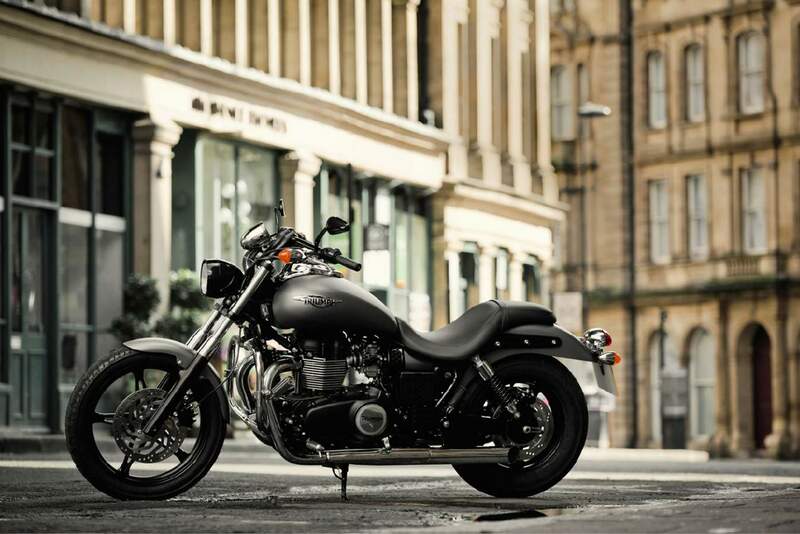 The Speedmaster is laid-back and easy on the fuel too. It can manage 71.1mpg at a steady 56mph and even at 75mph you’ll be sipping fuel at 55.5mpg. Holding everything together and keeping it in line is our traditional-style tubular steel cradle frame with steel swingarm, using the engine as an essential component to give you exceptional rigidity for stable, sure-footed handling. The suspension doesn't suffer for the sake of the Speedmaster's style. We fitted high quality KYB forks and shocks with a generous 120mm travel at the front and 96mm travel at the rear, enough to cope with poor conditioned back-roads as well as maintained highways. The shocks are preload adjustable too, so you can find the perfect balance and stance whether you’re travelling light or fully loaded with a passenger and the accessory luggage. Forming the backbone of the Speedmaster’s long, low style and at the same time providing it with exceptionally easy, well-balanced handling. We’ve made a chassis for the most inexperienced riders can manage and seasoned ones can enjoy. We raked the forks out at an extreme 33.8 degrees in true hot-rod style and kept the trail figure long at 170.4mm. We stretched the wheelbase out too at a lengthy 1606mm but because we've kept the centre of gravity low and very carefully matched the geometry, the Speedmaster still steers with that easy, engaging feel that makes even tight, low speed corners a breeze. And stability at higher speeds of course is exceptionally good. We put a single 310mm disc at the front backed up by the 285mm rear disc to help maintain the bike's lean look, but together they still provide plenty of power with good feedback to make sure the Speedmaster stops as well as it goes. As a Speedmaster rider you adopt a relaxed position, feet well forward and hands wide apart on the pulled back bars. Sitting just 690mm from the ground the Speedmaster is very easy to manage even at walking pace. And it’s comfortable when the pace increases, so you can take in the scenery and just enjoy the ride. 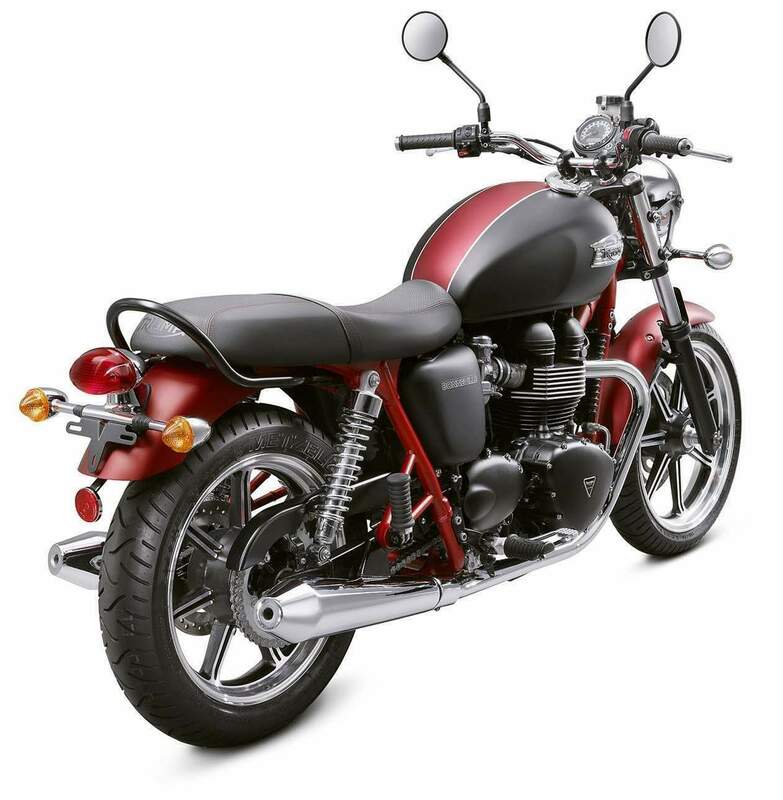 It's laid-back style suits a wide range of riders and is a great choice for anyone that finds other bikes too much of a stretch to the ground.